Testing a method in a class you are writing – while you are writing that class. 5 More Definitions Test Fixture/ Test Class – A class with some unit tests in it. 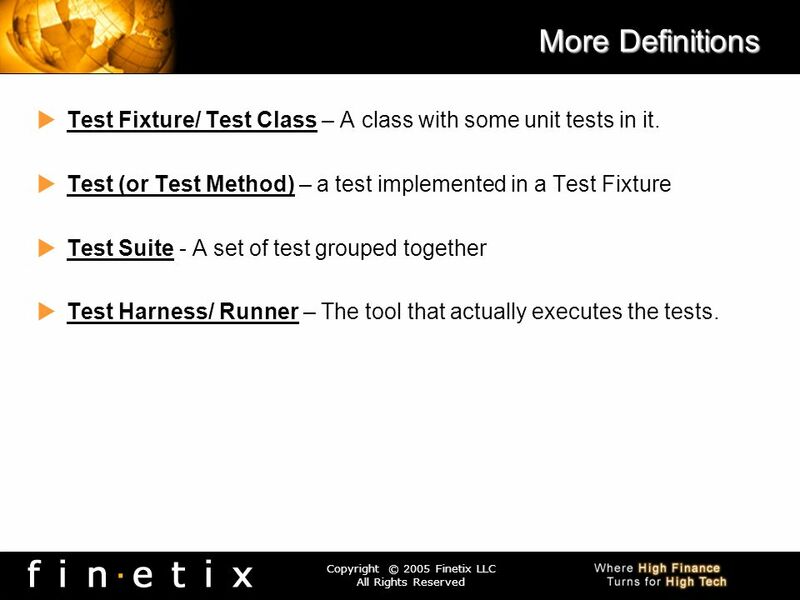 Test (or Test Method) – a test implemented in a Test Fixture Test Suite - A set of test grouped together Test Harness/ Runner – The tool that actually executes the tests. The "system under test". It is short for "whatever thing we are testing" and is always defined from the perspective of the test. When we are writing unit tests, the system under test (SUT) is whatever class or method(s) we are testing. CUT The “class under test” – the class you are typing code in right now. MUT The “method under test” – the method in the CUT you are working on/ testing now. 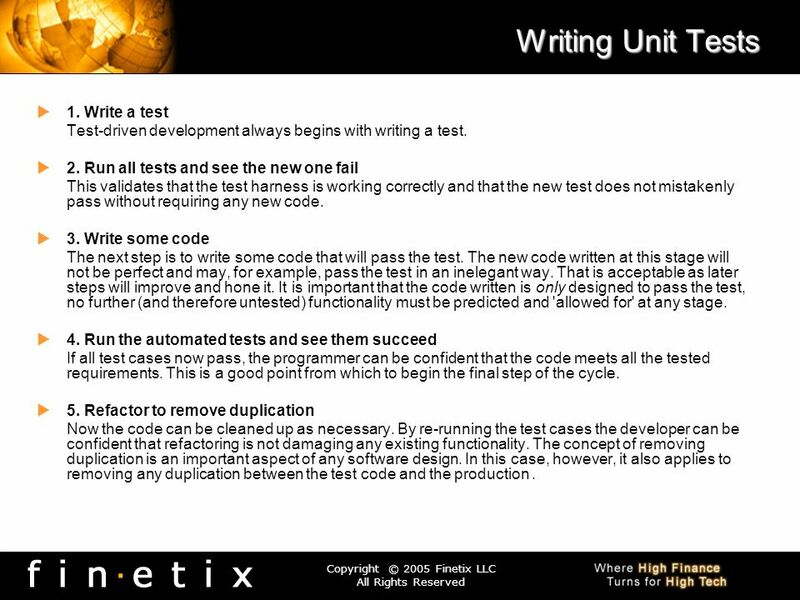 Test-driven development always begins with writing a test. 2. 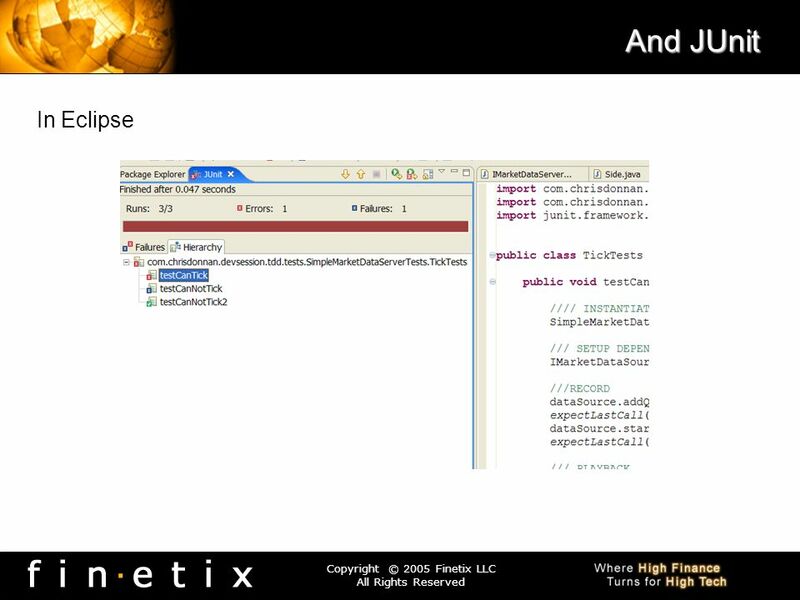 Run all tests and see the new one fail This validates that the test harness is working correctly and that the new test does not mistakenly pass without requiring any new code. 3. Write some code The next step is to write some code that will pass the test. The new code written at this stage will not be perfect and may, for example, pass the test in an inelegant way. That is acceptable as later steps will improve and hone it. 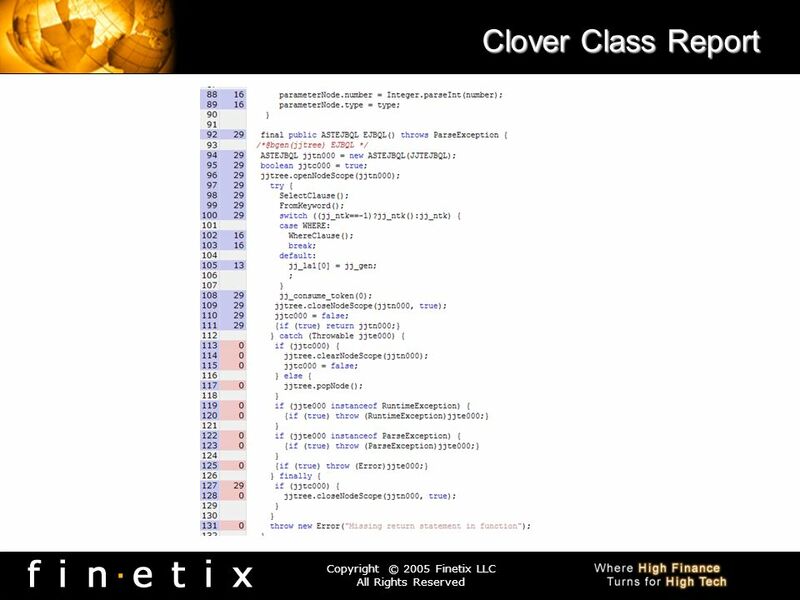 It is important that the code written is only designed to pass the test, no further (and therefore untested) functionality must be predicted and 'allowed for' at any stage. 4. Run the automated tests and see them succeed If all test cases now pass, the programmer can be confident that the code meets all the tested requirements. This is a good point from which to begin the final step of the cycle. 5. Refactor to remove duplication Now the code can be cleaned up as necessary. By re-running the test cases the developer can be confident that refactoring is not damaging any existing functionality. The concept of removing duplication is an important aspect of any software design. In this case, however, it also applies to removing any duplication between the test code and the production . 11 Why on earth would we do this? 12 Types of Testing Functionality Testing : The functionality of the application ( i.e GUI components ). against the specifications ( eg, if we click " submit" button, the application should display " confirmation dialog box") Acceptance testing: Formal testing conducted to determine whether a system satisfies its acceptance criteria and thus whether the customer should accept the system. Regression Testing: Testing the application for checking whether the previous features are working properly or not, after adding new features to the application. 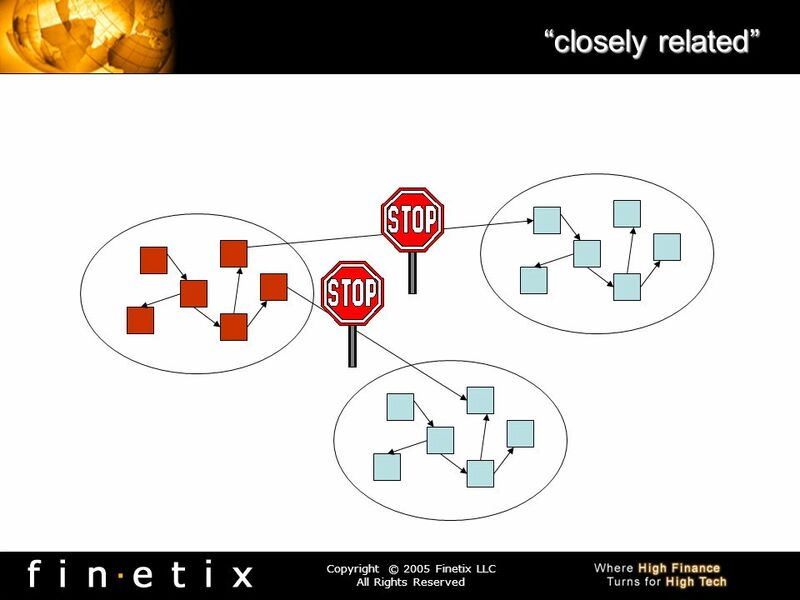 Stress Testing: The idea of stress testing is to find the breaking point in order to find bugs that will make that break potentially harmful. 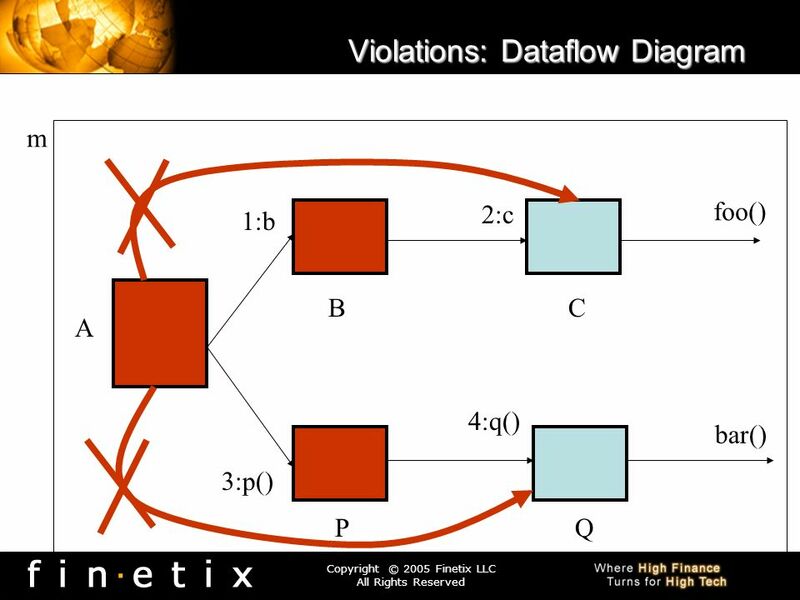 Load Testing: This is merely testing at the highest transaction arrival rate in performance testing to see the resource contention, database locks etc... Black-box Testing: Focuses on the program's functionality against the specification. White-box Testing: Focuses on the paths of logic. 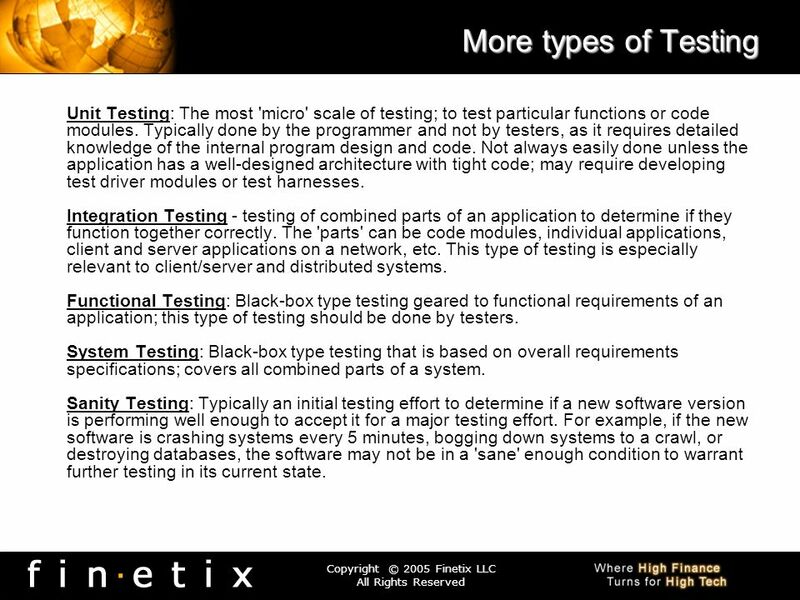 13 More types of Testing Unit Testing: The most 'micro' scale of testing; to test particular functions or code modules. Typically done by the programmer and not by testers, as it requires detailed knowledge of the internal program design and code. 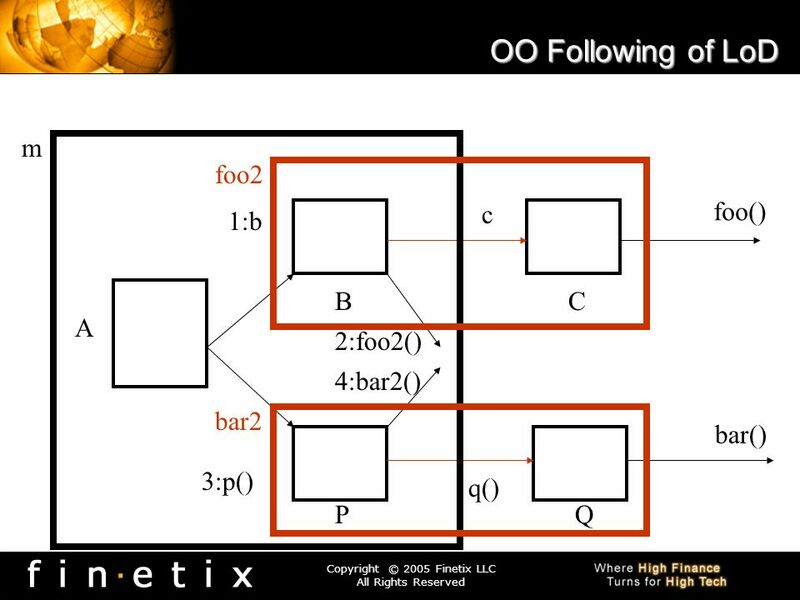 Not always easily done unless the application has a well-designed architecture with tight code; may require developing test driver modules or test harnesses. Integration Testing - testing of combined parts of an application to determine if they function together correctly. 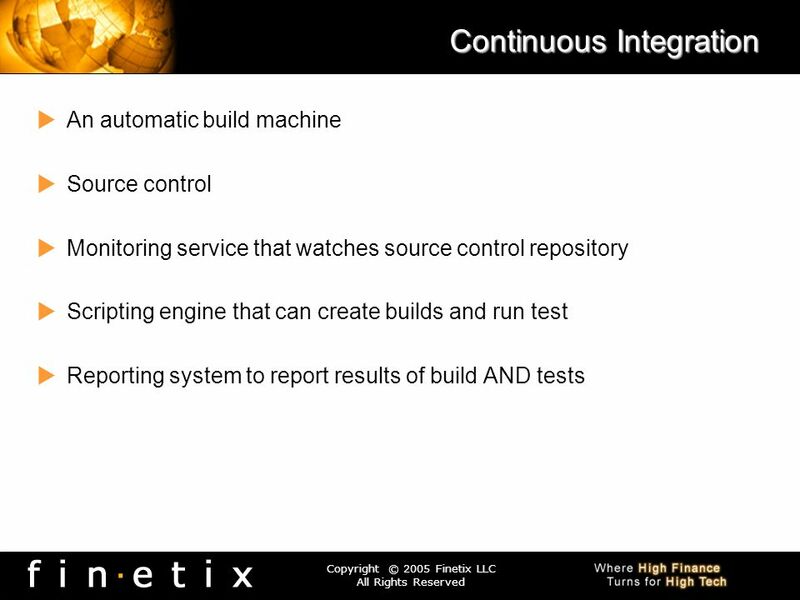 The 'parts' can be code modules, individual applications, client and server applications on a network, etc. 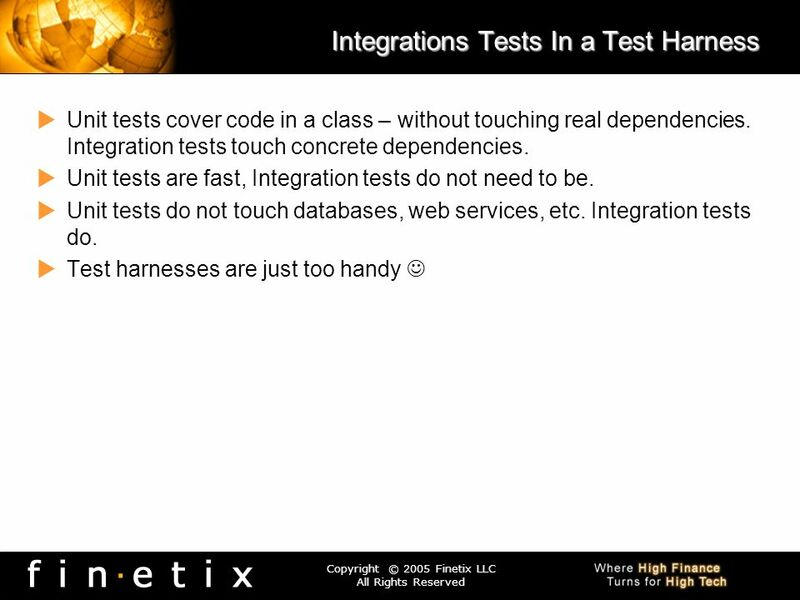 This type of testing is especially relevant to client/server and distributed systems. 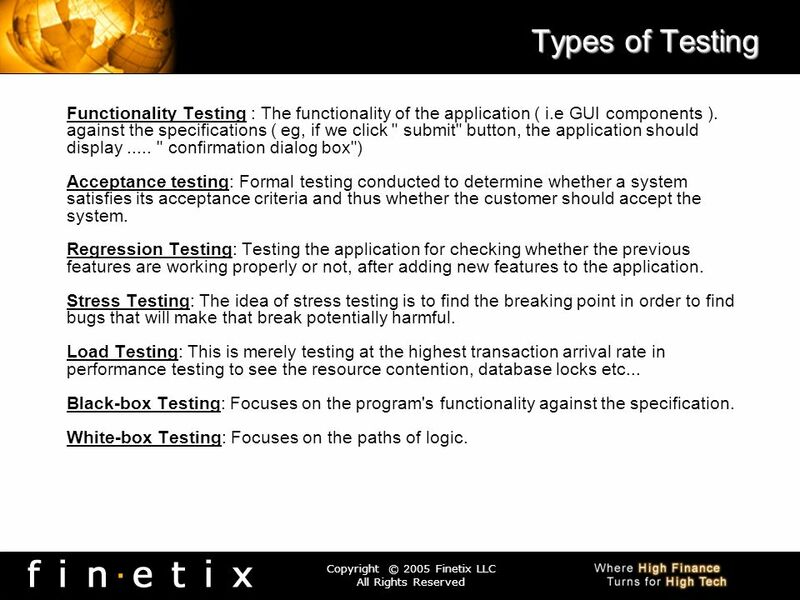 Functional Testing: Black-box type testing geared to functional requirements of an application; this type of testing should be done by testers. 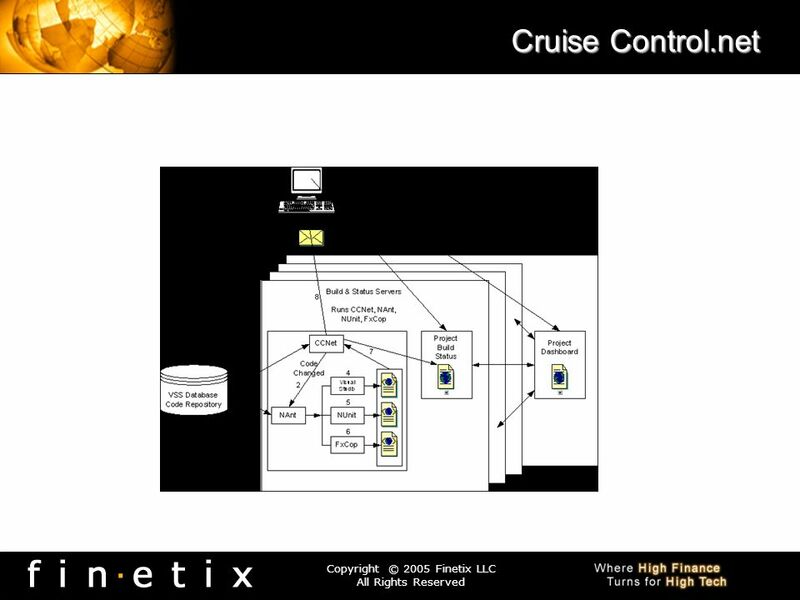 System Testing: Black-box type testing that is based on overall requirements specifications; covers all combined parts of a system. Sanity Testing: Typically an initial testing effort to determine if a new software version is performing well enough to accept it for a major testing effort. For example, if the new software is crashing systems every 5 minutes, bogging down systems to a crawl, or destroying databases, the software may not be in a 'sane' enough condition to warrant further testing in its current state. 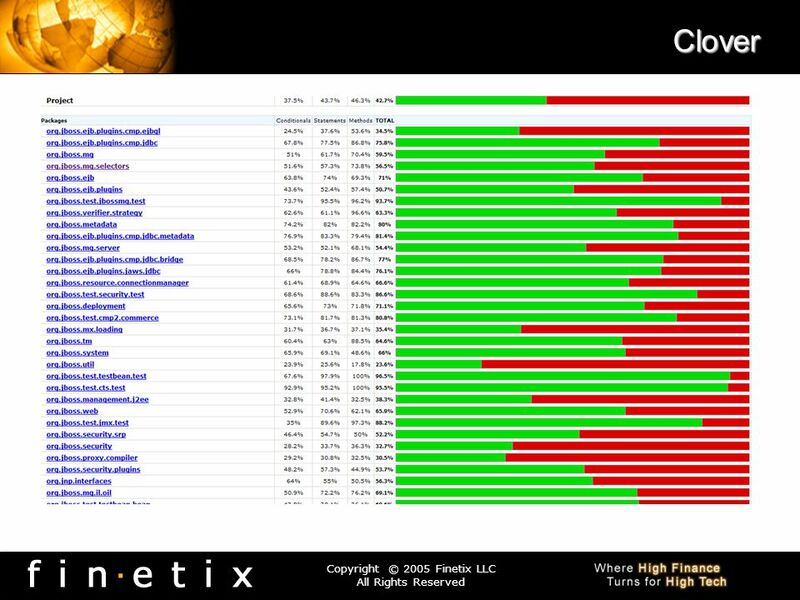 Performance Testing: This term is often used interchangeably with 'stress' and 'load' testing. Ideally 'performance' testing (and any other 'type' of testing) is defined in requirements documentation or QA or Test Plans. Usability Testing: Testing for 'user-friendliness'. Clearly this is subjective, and will depend on the targeted end-user or customer. User interviews, surveys, video recording of user sessions, and other techniques can be used. Programmers and testers are usually not appropriate as usability testers. Installation/Uninstallation Testing: Testing of full, partial, or upgrade install/uninstall processes. Security Testing: Testing how well the system protects against unauthorized internal or external access, willful damage, etc; may require sophisticated testing techniques. Compatability Testing: Testing how well software performs in a particular hardware/software/operating system/network/etc. environment. Ad-hoc Testing: Testing the application in a random manner. Alpha Testing: Testing of an application when development is nearing completion; minor design changes may still be made as a result of such testing. Typically done by end-users or others, not by programmers or testers. Beta Testing: Testing when development and testing are essentially completed and final bugs and problems need to be found before final release. Typically done by end-users or others, not by programmers or testers. 15 The point? Unit Tests are a very specific type of test. They are NOT lots of things. Unit tests are the smallest part of testing. They work at the lowest level of granularity. 16 So WHAT is a Unit Test? Your job is to do task X – implement some feature. You are typing a new class – say - class X. You are NOT typing classes, M, L, N. You write unit tests to sort out WHAT YOU ARE TYPING NOW. Specify what you want your software to do. Do this by writing a unit test. Then make the software do what your specification looked like. 17 What does it look like? 20 What does a Test Runner Look Like? The expected outcome is difficult or time-consuming to verify in an automated test The known inputs are difficult or time-consuming to setup in an automated test Tests that depend on external services can be brittle or just plain slow Measuring the outcome requires checking the state of all a class's dependencies, often making the unit tests too coarse and dependent upon the actual implementation details Too many classes have to be involved in the unit test Teams abandon TDD as a failure when the tests are too difficult to write or just plain laborious. Nobody is going to willingly use a technique that is more bang than buck. 25 The importance of IoC Inversion of Control (aka DIP – Dependency Inversion Prinicipal) A. High-level modules should not depend on low-level modules. Both should depend on abstractions. B. Abstractions should not depend on details. Details should depend on abstractions. 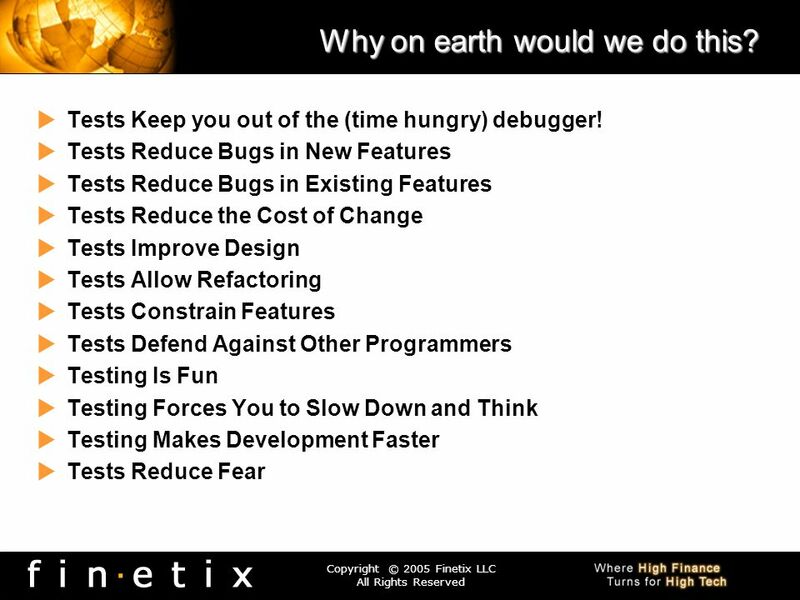 27 Rules of thumb If you cannot test code – change it so you can. Test first! 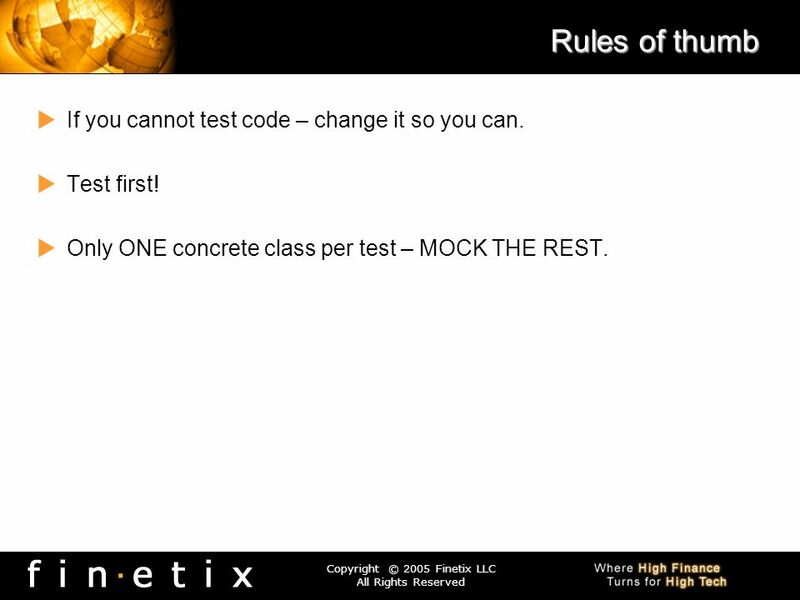 Only ONE concrete class per test – MOCK THE REST. Verify One Condition per Test Test Concerns Separately Keep Tests Independent Use the Front Door First (do not have ‘special’ test only ways of using a class) Communicate Intent (tests are great design/ usage ‘docs’) Easy to Setup FAST! 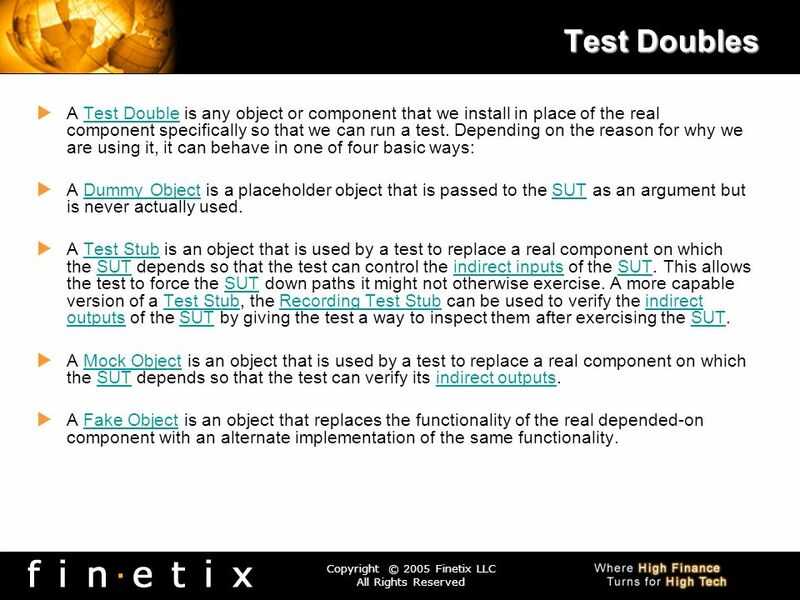 32 Test Doubles A Test Double is any object or component that we install in place of the real component specifically so that we can run a test. 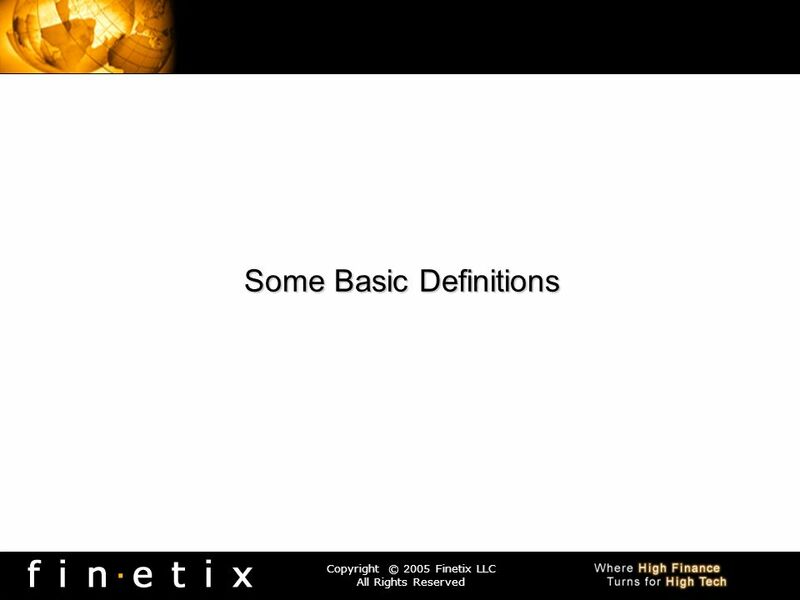 Depending on the reason for why we are using it, it can behave in one of four basic ways: A Dummy Object is a placeholder object that is passed to the SUT as an argument but is never actually used. A Test Stub is an object that is used by a test to replace a real component on which the SUT depends so that the test can control the indirect inputs of the SUT. This allows the test to force the SUT down paths it might not otherwise exercise. 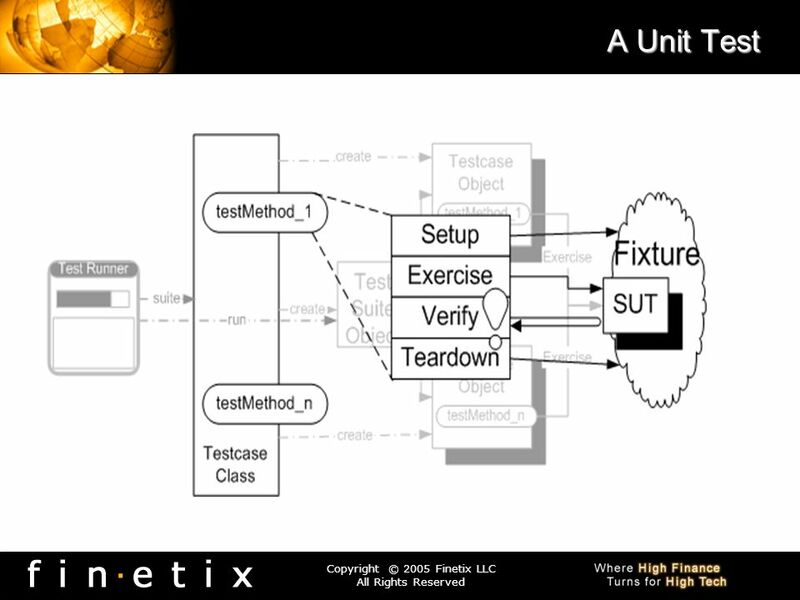 A more capable version of a Test Stub, the Recording Test Stub can be used to verify the indirect outputs of the SUT by giving the test a way to inspect them after exercising the SUT. 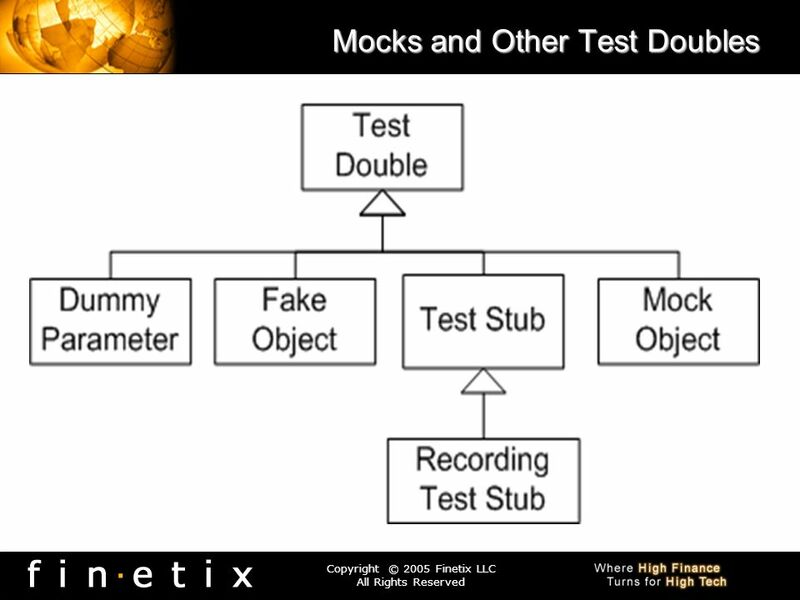 A Mock Object is an object that is used by a test to replace a real component on which the SUT depends so that the test can verify its indirect outputs. A Fake Object is an object that replaces the functionality of the real depended-on component with an alternate implementation of the same functionality. 33 MOCKS!!!! Some Terms Mock Object - an object that pretend to be another object, and allows to set expectations on its interactions with another object. Interaction Based Testing - you specify certain sequence of interactions between objects, initiate an action, and then verify that the sequence of interactions happened as you specified it. State Based Testing - you initiate an action, and then check for the expected results (return value, property, created object, etc). Expectation - general name for validation that a particular method call is the expected one. Record & Replay model - a model that allows for recording actions on a mock object, and then replaying and verifying them. 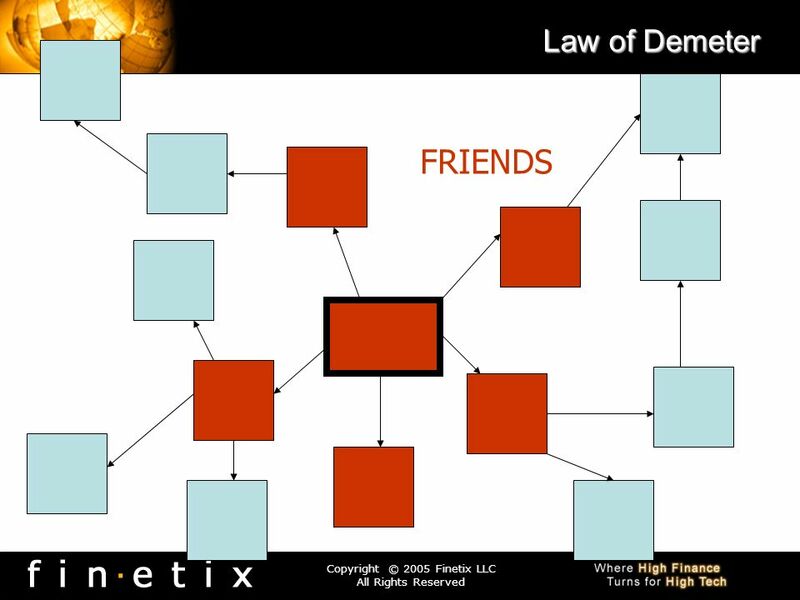 All mocking frameworks uses this model. 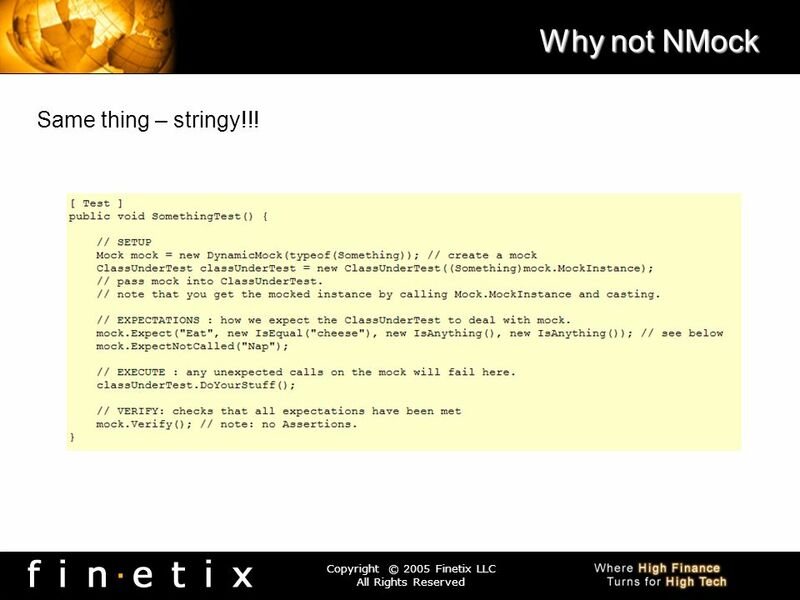 Some (NMock, TypeMock.Net, NMock2) uses it implicitly and some (EasyMock.Net, Rhino Mocks) uses it explicitly. 34 Why not JMock Too Stringy – Intelli-J, Eclipse does not like to refactor strings. 35 Why not NMock Same thing – stringy!!! 38 How many mocks???? How Many Mock Objects in any Given Test? 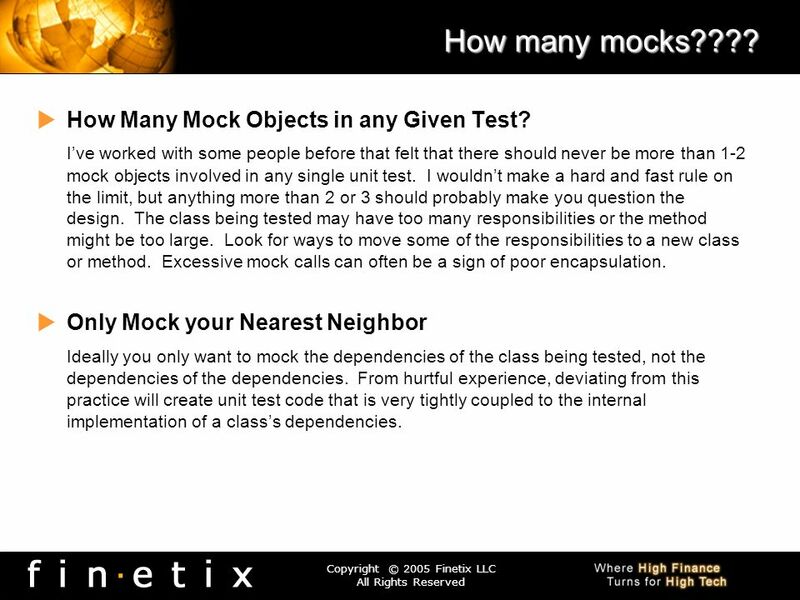 I’ve worked with some people before that felt that there should never be more than 1-2 mock objects involved in any single unit test. I wouldn’t make a hard and fast rule on the limit, but anything more than 2 or 3 should probably make you question the design. The class being tested may have too many responsibilities or the method might be too large. Look for ways to move some of the responsibilities to a new class or method. Excessive mock calls can often be a sign of poor encapsulation. Only Mock your Nearest Neighbor Ideally you only want to mock the dependencies of the class being tested, not the dependencies of the dependencies. From hurtful experience, deviating from this practice will create unit test code that is very tightly coupled to the internal implementation of a class’s dependencies. Each unit should only use a limited set of other units: only units “closely” related to the current unit. “Each unit should only talk to its friends.” “Don’t talk to strangers.” Main Motivation: Control information overload. We can only keep a limited set of items in short-term memory. Too many mocks and mocking past your immediate neighbors are due to violating this prinicpal. 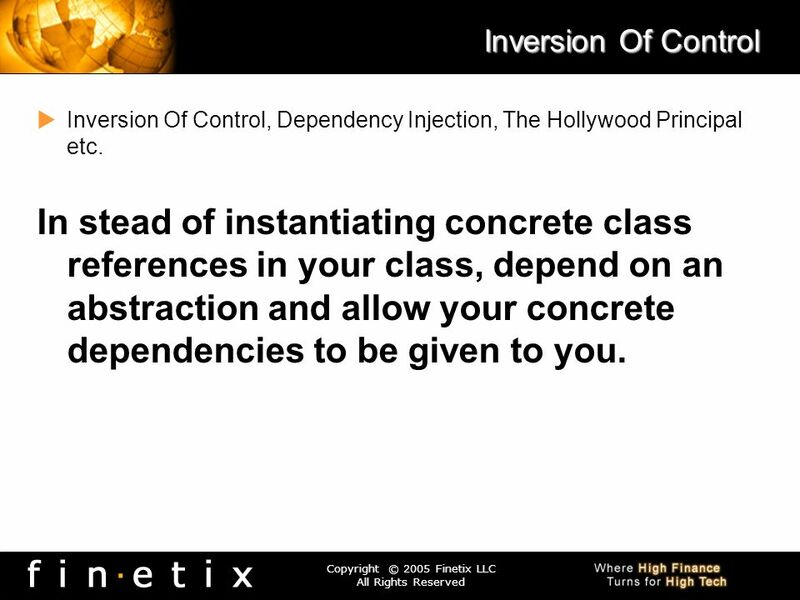 53 Inversion Of Control Inversion Of Control, Dependency Injection, The Hollywood Principal etc. In stead of instantiating concrete class references in your class, depend on an abstraction and allow your concrete dependencies to be given to you. 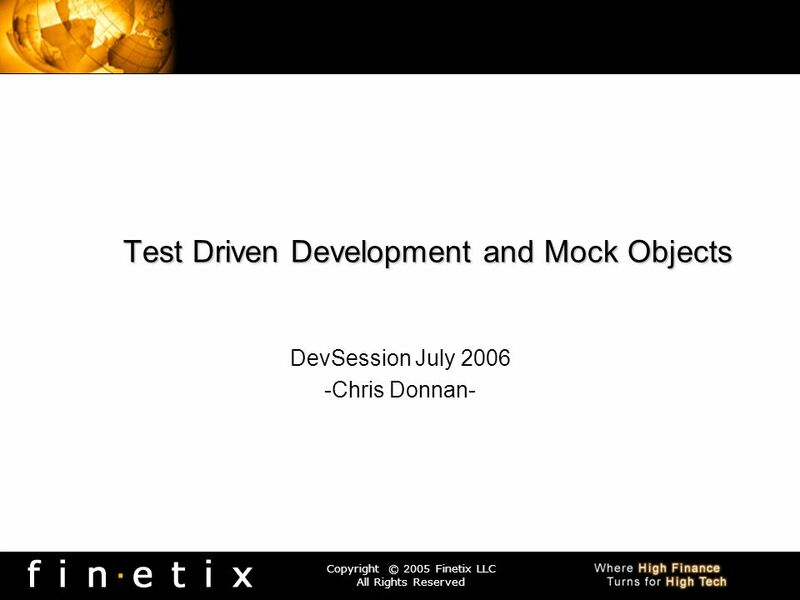 Download ppt "Test Driven Development and Mock Objects"
Software Testing. Quality is Hard to Pin Down Concise, clear definition is elusive Not easily quantifiable Many things to many people You'll know it when. Annoucements  Next labs 9 and 10 are paired for everyone. So don’t miss the lab.  There is a review session for the quiz on Monday, November 4, at 8:00. Copyright © 2006 Korson-Consulting 1/219 Unit 4 Test First Development. Software Testing. “Software and Cathedrals are much the same: First we build them, then we pray!! !” -Sam Redwine, Jr.
Issues on Software Testing for Safety-Critical Real-Time Automation Systems Shahdat Hossain Troy Mockenhaupt. Test-Driven Development “Test first, develop later!” –OCUnit. 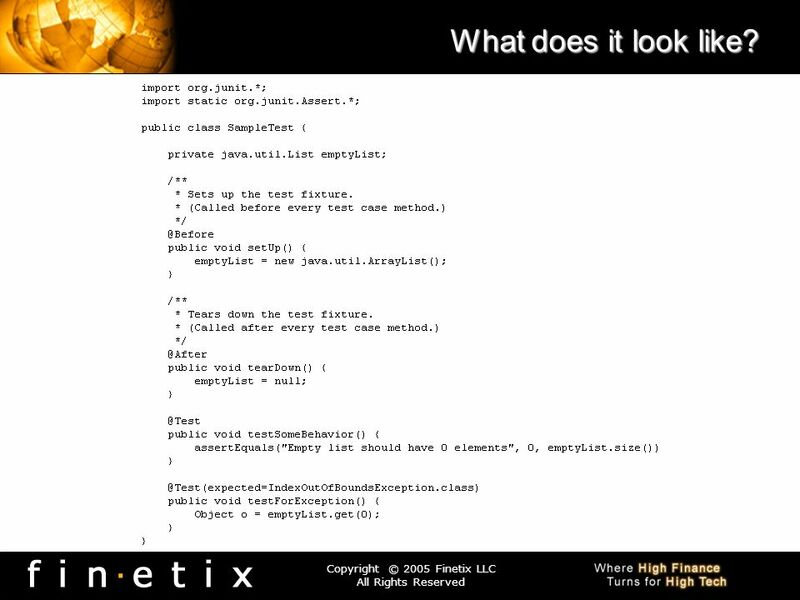 Test Driven Development Derived from Dr. Fawcett’s notes Phil Pratt-Szeliga Fall 2009. CPSC 372 John D. McGregor Module 8 Session 1 Testing.